Skirtech was formed by Martin and Fiona Hall after Martin's traditional work fitting high-end kitchens worth £40,000 dried up during the recessionary times. Not only did enquiries drop, but those he did get meant having to re-quote time and time again for each job as buyers played off different bidders to get the lowest price. Knowing he needed to change direction, Martin approached us to provide expert help to get a new business off the ground manufacturing and selling skirting boards online. We spent 10 weeks getting prepared and then launched the service in October. After the end of the 3rd month of trading we had created a business with a run rate of £20,000 per month, equating to a minimum annual turnover of £250,000. Exactly one year later, monthly revenues topped £30,000 for the first time. We then continued to market the site through our managed digital marketing service. The website was built using our software platform, REC+, with a modest initial marketing spend that was increased in line with a growth in revenues. We explored what Martin was able to do as a business and by re-jigging his existing workshop it was possible to manufacture lots of different sizes and varieties of skirting boards with minimal investment. Note: Many startups have no existing setup so passion, being prepared to work hard and the drive to earn money are the sole requirements. By using our research tools we were able to analyse the demand for skirting boards online and the strength of competition, uncovering their SEO marketing secrets so we could rapidly close the gap. This was critical because Skirtech was a completely new site with no residual value to build off and would only be trading online. Focus on pricing and up-sell allowed us to create an exceptionally strong pricing policy, which we knew would be critical in a commoditised market. This was essential. There is no point in launching a new service or product without knowing why people will buy from you rather than other established businesses. We analysed other skirting board suppliers and came up with a set of USP's that we knew would make Skirtech the number 1 choice. Some of the USP's were very challenging to achieve and would mean hard work, but Martin's commitment to this venture's success allowed us to go forward with these. Design is a very important part of creating your brand and Martin gave us full artistic licence to create a site that would engage users, promote his USP's and drive conversions. We even 3D animated his products from pencil drawings to create the best looking website in this space. Once the site design was approved and all products in place we launched the site following our 100-point Site Launch Process. The marketing strategy was defined during the business planning and financing stage. We chose a 4 track approach using a combination of Google Search, Google Shopping, Google Adwords and Social Media (for search engine signals rather than direct sales). The initial traffic would be driven by Adwords on a Pay Per Click program. We used our in-built Adwords Optimiser feature to drive return-on-investment (ROI) from Adwords past the 900% mark from a single £300 investment. With a proven high ROI, we ratcheted up the campaign because it was generating hugely profitable sales. In parallel, we drove highly targeted organic traffic through peripheral marketing sites created using our automated Marketing Site Spinner plus submission to Google Shopping via high quality data feeds and a social bookmarking and link building program. The super search engine friendliness of our software also started to generate traffic and rankings so that by the end of the 3rd month our organic traffic was overtaking the paid Adwords traffic as the site passed the 5,000 visitor per month mark with rock solid conversion rates 30% higher than the UK average. By this point we had created the stage we call: Money Making Machine. Once the site was launched, we closely monitored progress and results, advising on when to raise Adwords spend based on solid returns and available advertising capacity together with product and pricing adjustments. With ReallyEasyCart's in-built Order Traffic Analyser it was easy to view progress on a daily basis and see which elements of the marketing program were having the best effect. Monthly reviews were held and recommendations implements and a formal quarterly review was held to agree how we advance the sales to a new target of £500,000 and dominate online web sales. The risk for Martin was effectively giving up his existing carpentry and kitchen fitting business and re-jigging his workshop to be able to make and paint long lengths of skirting board. 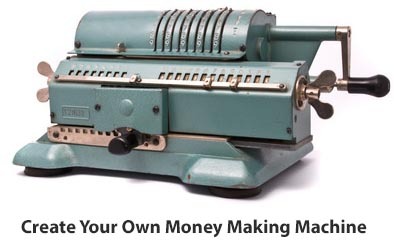 This meant the new business needed to produce revenues immediately. Understanding this, he knew he needed expert help to get this outcome because so much was at risk. Wildfire Internet provided this expertise and worked thoroughly to research the winning marketing strategy to ensure this happened. 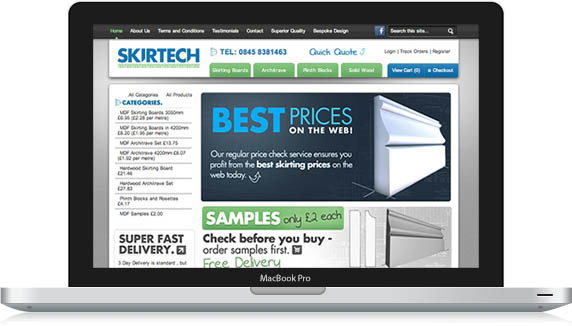 Using our tools and expertise, we were 100% committed to seeing Skirtech succeed. To maximise the reward for Martin, we knew we needed to quickly generate sales not only to put some money back in the bank, but also to provide an early boost in confidence that this had been the right decision. We also offered to work on a risk reward terms, with our organic marketing provided for free in return for a small commission of sales revenues. In this way, Martin knew it was in our interest to see the maximum level of sales in the shortest possible time. In summary, we have all been winners. We are delighted to have been able to help Martin and Fiona achieve a real transformation in their lives. After all, it's about the people ahead of the profits. Let us help your startup succeed. Call 0330 311 2810 today and ask to talk to one of our experienced business growth team.